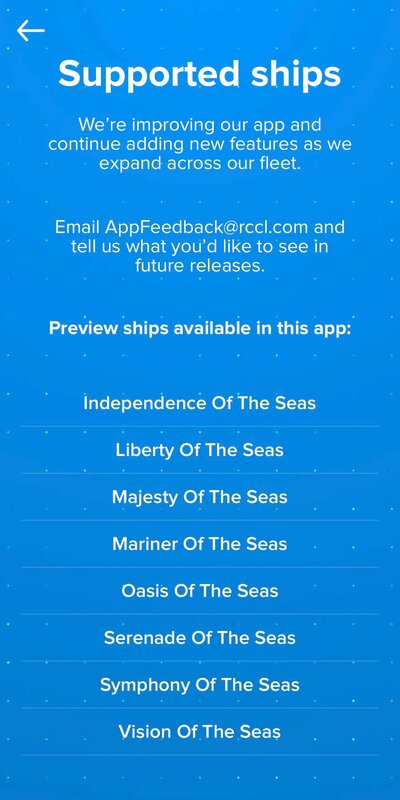 Royal Caribbean has expanded its new app to include support for Spectrum of the Seas. Thanks to Michael S. for alerting us to this change. Spectrum, now appears in the list of supported ships that can be found from within the app. 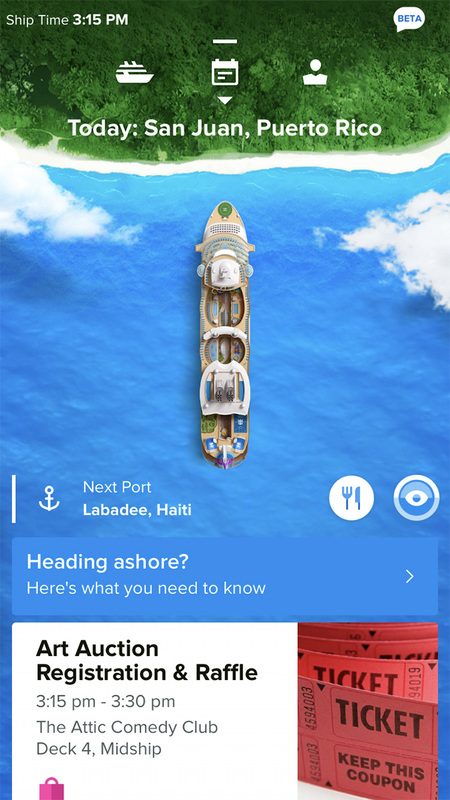 Royal Caribbean has expanded its new app to include support for Navigator of the Seas. Navigator now appears in the list of supported ships that can be found from within the app. 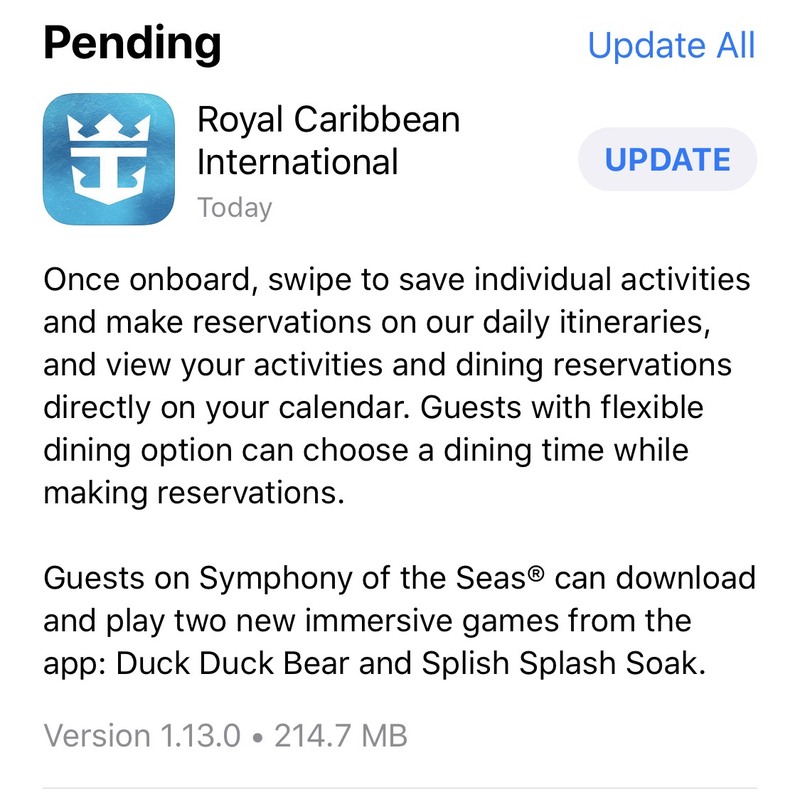 Royal Caribbean has released a "soft update" to its new smart phone app that allows guests sailing on Vision of the Seas to start using the app. 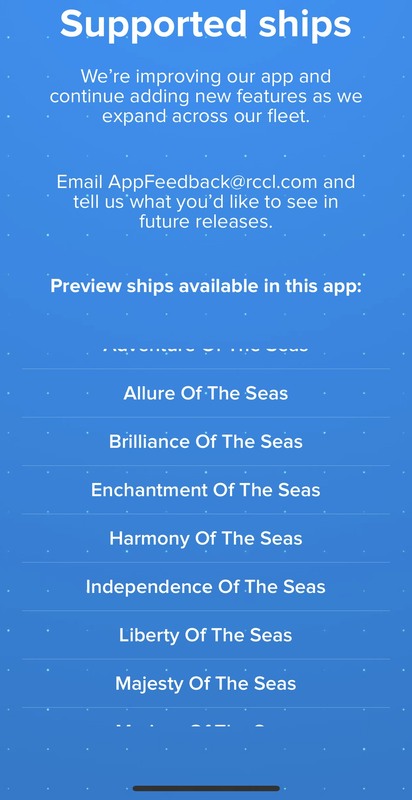 The new version does not list Vision as a supported ship in the app store, but opening the app shows both ships on the list. 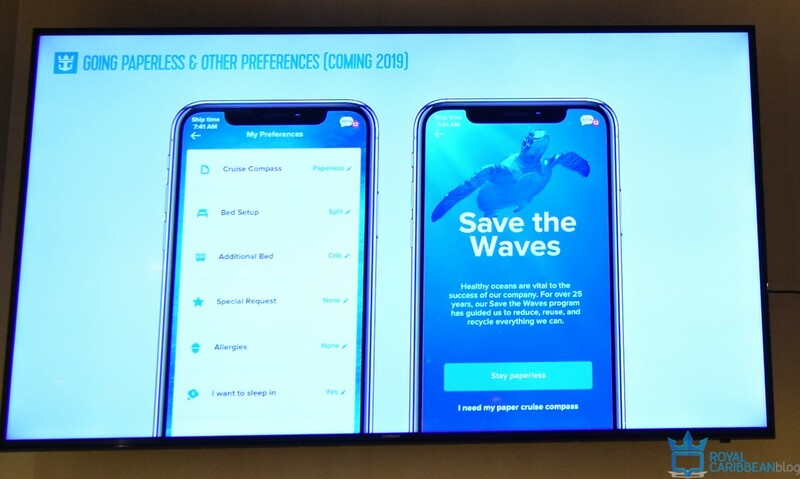 While onboard Royal Caribbean's Symphony of the Seas, we had the chance to get an update on what new features are coming to its smart phone app. 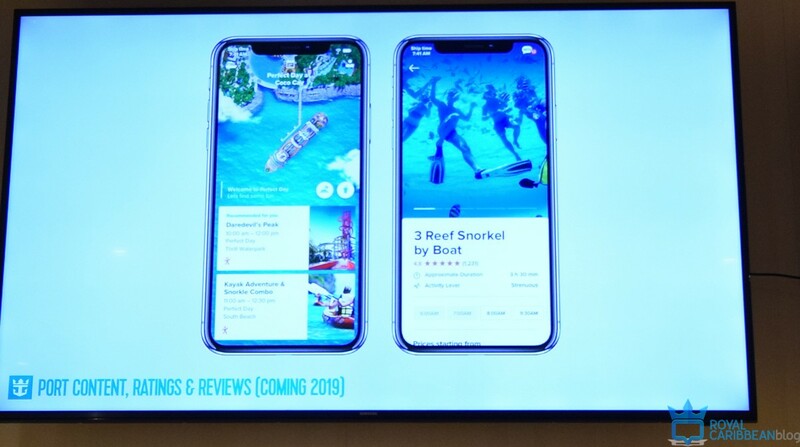 The app team held a demo and talk for members of the media while on Symphony of the Seas and shed light on a few new features coming to the app. 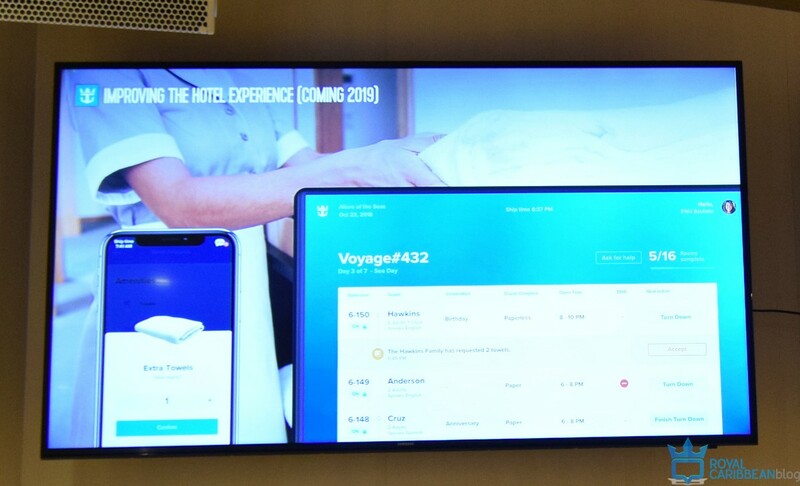 They team demoed guest messaging, which is currently being tested on Allure of the Seas. They indicated that they are looking to improve the ease at which guests connect with each other by using a code unique to each guest. They are looking to balance the need for privacy from other guests, combined with the need to make the app easy to use. 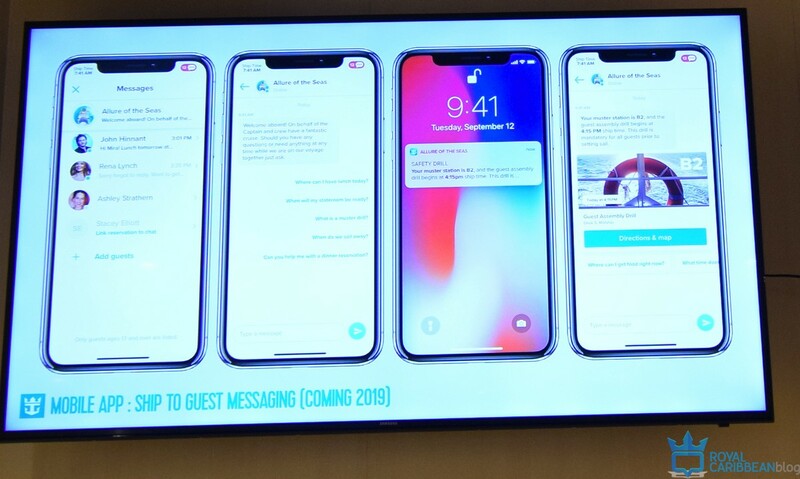 Speaking of chat, the team estimated the new chat feature could reach Symphony of the Seas sometime in the first quarter. 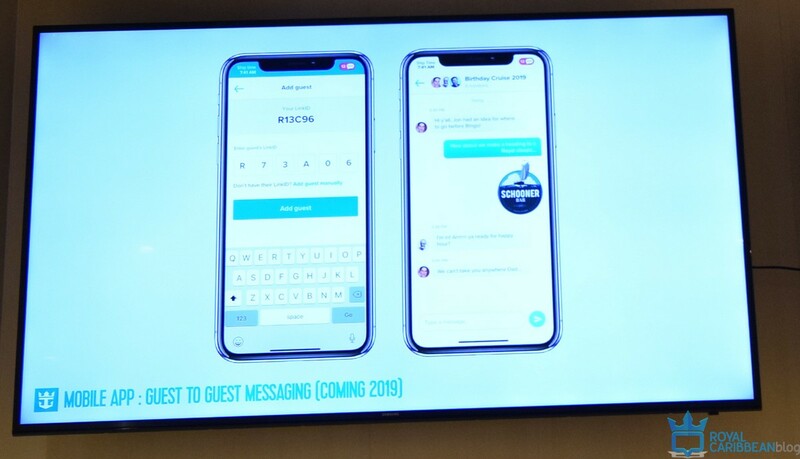 Speaking of chat, Royal Caribbean plans to add something they call "Ship to Guest messaging" where not only can guests chat with other guests, but get messages from the ship. They avoided calling it a chatbot, for fear of coming off as a gimmicky feature that lacks usability. Instead, they are developing a feature that allows guests to quickly get assistance with different requests. Another new feature will be the ability to view and rate shore excursions via the app. Royal Caribbean not only wants to allow guests to book shore excursions, but get meaningful feedback on tours and allow guests to share their experiences. The team was asked about moderating the reviews, but they indicated the key is to keep the reviews authentic and not watered down. Royal Caribbean also wants to make dining easier on its ships by allowing guests to view menus and even place orders. 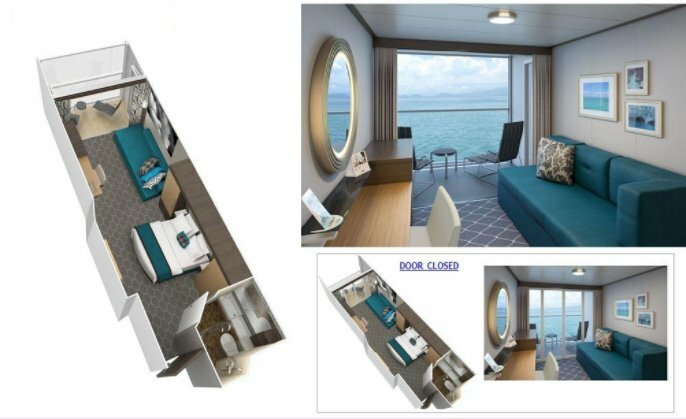 In addition, allowing guests to indicate stateroom changes and directly work with stateroom attendants to allow guests to set preferences for their upcoming stay. 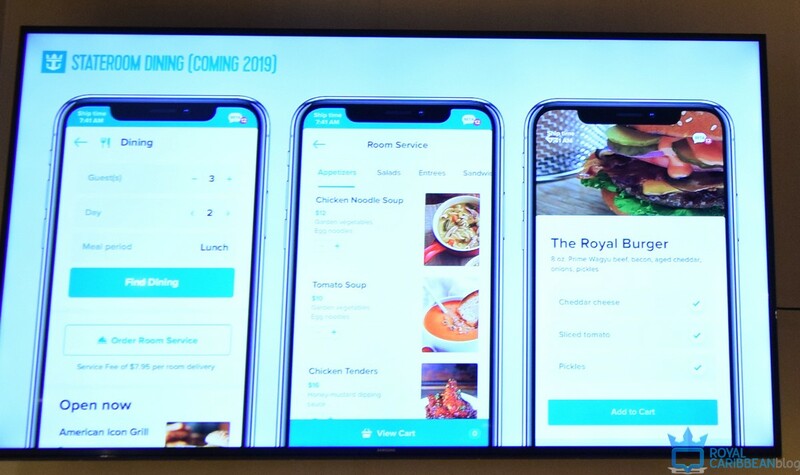 Royal Caribbean shared some of their plans for having the ability for guests to order drinks via the app. 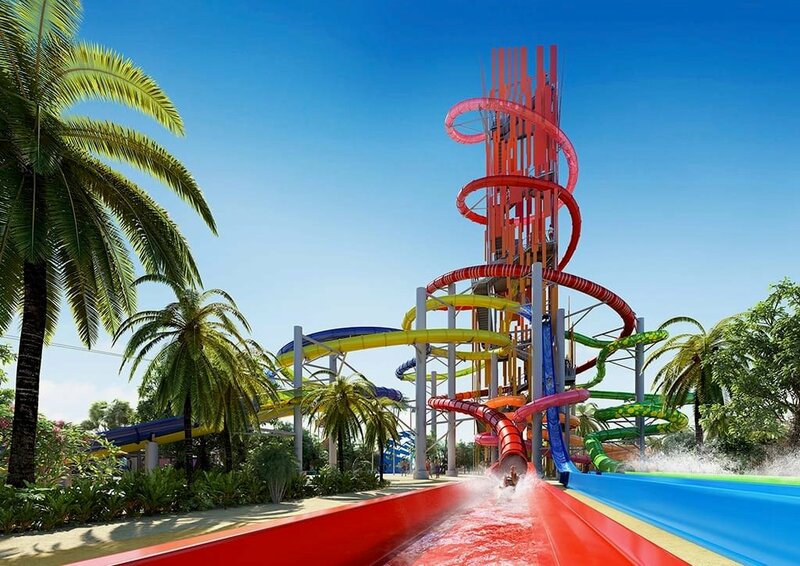 The plan now is to first roll out that feature at Perfect Day at CocoCay, then expand to certain areas od the ship and finally expand to more areas of a ship. 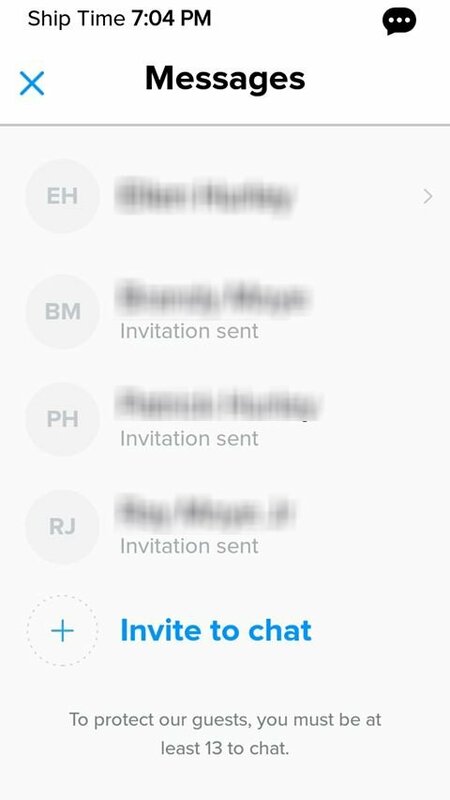 Which feature are you most excited to see come to the app? Tell us about it in our comments!